Mario’s recent parties aren’t what they used to be, but digging into some of the series’ greatest elements might just get the party started again. Mario Party is synonymous with fun, shenanigans, and the destruction of friendships, but over the course of the franchise’s 19 years and 40 million copies sold, the quality has declined. Mario Party 11 can become the best Mario Party of the last decade if it draws from the series’ best elements, most of which came from the first three games. Classic Mario Party involves four players rolling dice to move around a board and purchasing stars. Stars cost 20 coins, specific board star gimmicks aside, and coins can be obtained through minigames played after everyone moves. Spaces and board events serve to help or hamper players. After 20 minigames, or turns, bonus stars are awarded for earning the most coins in minigames, holding the most coins, and landing on the most Happening Spaces. Whoever earns the most stars wins and becomes the Superstar. The original Mario Party is one of the most unique entries in the series due to minigames where the last place player loses coins, solo mini games, and Bowser lurking on the board, waiting to cause chaos. These gameplay elements address two of the major problems with modern Mario Party: difficulty and luck. Spend a few hours rolling the dice in the original. Then switch over to a newer entry ranging from Mario Party 7 to 10. In the newer games, winning feels less like a triumph and more like something that just happened outside of the player’s control. Mario Party is first and foremost a party game designed for fun. However, that shouldn’t stop players that want a more serious experience from enjoying it. Other Nintendo franchises like Smash Bros. and Mario Kart are excellent examples of games that simultaneously satisfy those looking to play casually or competitively. Customizable options are part of their broad appeal, something sorely lacking in Mario Party outside of the original’s option to toggle board elements—warp blocks, Boo and Koopa, plus and minus blocks—on and off. Customizable minigame playlists only appeared in Mario Party 4 and can prevent victory from coming down to a terrible minigame, there’s always one in every entry, that will inevitably appear in Mario Party 11. Other quirks like board lore whenever players buy a star, board storylines, and Bowser torturing whoever came in last don’t add to the gameplay, but add to the charm. More charming moments can help revitalize the franchise. The final notable element from the original is Koopa, the game’s Go space. Giving players money every time they pass Koopa is great for a difficult game like the original, but unnecessary in later entries when coins are almost too easy to collect. Mario Party 2 is when the series turned into something special. The sequel gave players themed costumes for every board, making games feel more adventurous. Bowser was also given corny board based nicknames and faces comical defeat at the hands of a game’s winner. Although the Bowser cutscenes can arguably get old, the black blur superstar reveal is far more satisfying than the series’ common method of dropping every character until the winner remains. No other Mario Party shares these elements. Duel minigames made the second game more strategic. Landing on the same space as another player triggers a board themed 1v1 duel. In duels, the initiator makes a coin bet and the other player must match it. Winner takes all. Mario Party 5’s duel system is preferable for a new entry in the series because it added the option to duel for stars. However, later games added a 30-coin bet to match a star bet, which is too one-sided. At least in Mario Party 5 the bet was 50 coins to match a star and the coin bonus star still existed, making coins more valuable. This kind of high-risk high-reward gameplay is essential to making the series more enjoyable and suitable for different play styles. A few other series staples stem from Mario Party 2. New battle spaces take a random number of coins from players and force everyone into a free-for-all minigame for the largest percentage. Instead of boo randomly stealing coins for free from a selected player like in the original, it costs five coins, and the amount stolen is determined by how fast the other player can mash the A button. These elements have been in almost every entry and deserve to return. However, Mario Party 9 and 10 made battle mini games low stakes with a low risk for losing and a small reward for winning. The introduction of items added more player freedom. For example, skeleton keys allow players to take shortcuts to other parts of the board and reach otherwise inaccessible areas. Other items let players move more spaces, steal from other players, and teleport. Items can be purchased at shops or won after landing on item minigame spaces. However, items feel less important in later entries due to how easy it is to get them and the subsequent constant usage. A return to the classic item system from the earlier games would feel fresh again if combined with the ability to throw items to create special spaces on the board like in Mario Party 5. While the ability to pick up items on the board for free at certain locations in Mario Party 5 rendered item minigames pointless, the addition of these minigames in Mario Party 2 gave players more choice over what item they’d receive compared to the often-random dispersal of items in modern Mario Party games. Mario Party 2’s most memorable item is the Bowser Fruit. Winning one in an item minigame triggers whimsical fanfare and summons Bowser to the board at the end of the turn. Bowser rolls three dice and steals every coin from any player he passes. This type of mechanic that can be triggered by accident or strategy embodies the best of the series. Unfortunately, this only happens in the second game and likely won’t return. Mario Party 3 is probably the best entry in the series for its improvements and new mechanics, like Game Guy. Landing on a Game Guy space forces a player into risky gambles. These minigames can greatly increase the player’s coin count, or reduce them to zero. Players often have the option to go to Game Guy at junctions in the board, adding another mechanic that can be part of a perfect plan, or an accidental tragic turn of events. Game Guy unfortunately hasn’t been in another game and probably won’t show up in Mario Party 11. Rare items were only featured in the third installment, despite causing many memorable moments. The ability to change the turn count, easily access the bank, steal multiple items, and send someone to Game Guy makes these items highly desirable. Items were never this powerful since, ignoring the all but impossible to obtain miracle capsules in Mario Party 5, and deserve a comeback. Finding a game-breaking item at a crucial moment is far more exciting than Bowser ruining Mario Party 9 and 10 with a Bowser Revolution in the final moments. Action Time, moments where players on the board hit the A button with correct timing to avoid trouble or progress, made boards stand out and feel more like actual worlds as opposed to backgrounds, like Mario Party 4’s boards. Although Captain Events in Mario Party 9 were likely inspired by Action Time, moving back to Action Time is preferable because the events are far faster and don’t disrupt the flow of the game by taking players off the board to play tedious bonus minigames. There are a few other core elements Mario Party 11 can improve on. Adding Boss Battle minigames as a separate section triggered by special spaces or board events instead of locations on a board is a good way to integrate the best element of the recent installments into the traditional formula. Mario Party 7 introduced random bonus stars for questionable actions like landing on the most Red Spaces, devaluing the importance of Happening Spaces. Having set bonus stars better suits the strategy element of the game and avoids unnecessary additional chance in an already heavily luck based game. The last five turn gimmicks that originated in Mario Party 4 should also return to keep players on their toes at the end of a game. Twists like multiple stars also make play sessions less repetitive. For Mario Party 11 to really attract new and old fans, it needs to add online, remixed versions of old boards and minigames, and downloadable content. Mario Party is always better with friends, but some people don’t have the opportunity to gather friends locally. 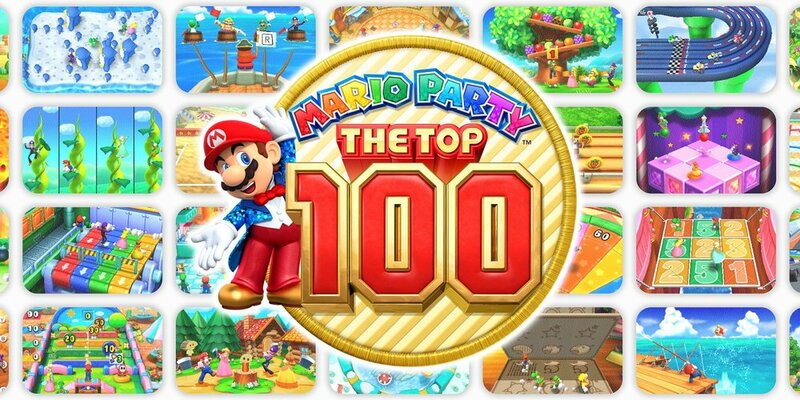 Mario Party: The Top 100 took 100 minigames from previous entries and updated them. Mario Party 11 has the potential to add even more old minigames while still featuring a slew of new ones. What Else Can Nintendo Bring to The Party? Nintendo knows the power of Nostalgia, but to really tap into it, they need to update previous versions of classic boards such as Pirate Land, and Spiny Desert. Finally, free or reasonably priced packs containing boards and minigames themed around different Mario Party games or even promotional tie-ins could be a great boon for the series. One example would be a Yoshi themed board to help promote the upcoming untitled Yoshi game. Most of this is a pipe dream since Nd Cube, the team behind the last two Mario Party games, will likely develop Mario Party 11 and refuel the divisive car mechanic where everyone moves together through linear boards. No coins or stars. Instead, players can look forward to collecting hundreds of mini stars, enduring enough luck-based elements to learn what it is like to have no control, and experience far less fun. But until then, we can continue to speculate what Mario’s next party might look like, and whether or not we would love to crash it.